Dwight Schrute like you’ve never seen him before. Check out this new photo of THE OFFICE’s Rainn Wilson starring as wannabe rocker who tries for his second shot at fame by joining his nephew’s garage band. How is it that I still find him adorable…even in this get up? For more on the upcoming movie click here to read about it at USA Today. Hah, he looks hilarious and adorable at the same time! Rainn looks awesome! I can’t wait for this to come out!! Those sidburns are too much. This movie sounds like it’s right up Rainn’s alley. 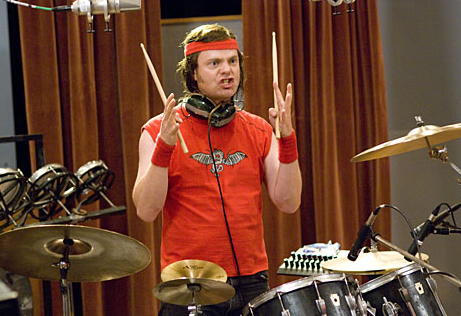 Can’t wait to see Dwight rocking out.